When the cold weather hits in our area, everyone is eager for the warmth of a fireplace. For those clients who aren’t renovating, it’s the time of year when we get more requests for electric fireplaces that look like woodstoves. They are compact and self-contained, which means that they can be placed just about anywhere in the home. 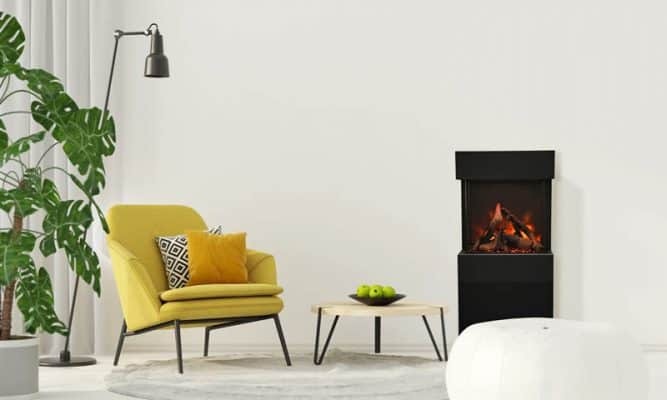 For those who love Scandinavian design and hygge (the Danish art of creating joy and coziness), electric fireplaces that look like woodstoves are a great way to transform a room. There are as many styles of stoves as there are manufacturers. 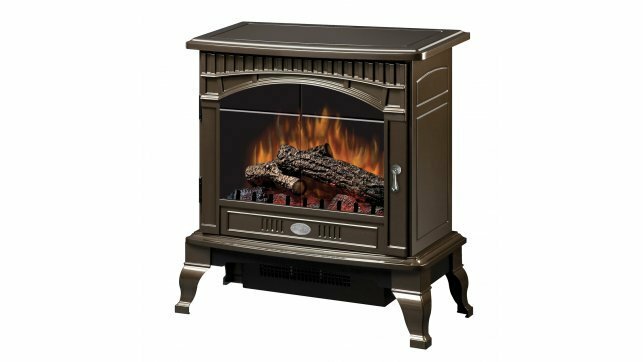 Dimplex is a world leader in electric heating, and they offer many styles of electric fireplaces that look like woodstoves. They have even adapted their water-based Opti-myst technology to fit inside the Stockbridge stove, for a very realistic effect. 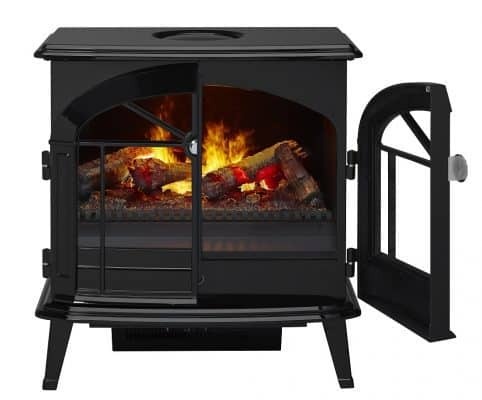 Dimplex also offers a variety of sizes and finishes in their line of stoves with regular light-based flame effects, for the industry’s largest line-up of electric fireplaces that look like woodstoves. 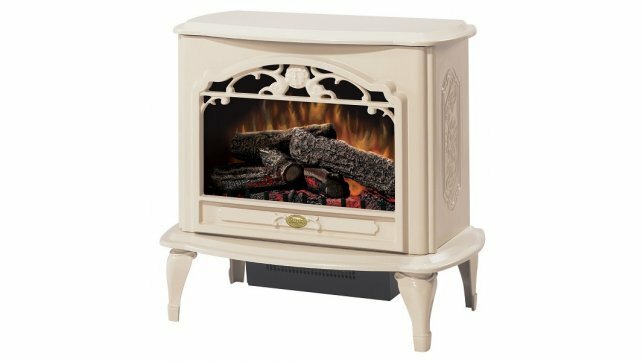 Dimplex Celeste electric stove in Cream. Also available in black. This is one of the largest stoves available from Dimplex. Dimplex Traditional stove in Bronze, one of 5 available finishes. Sierra Flame took a more contemporary approach to the design of their entry into this category. 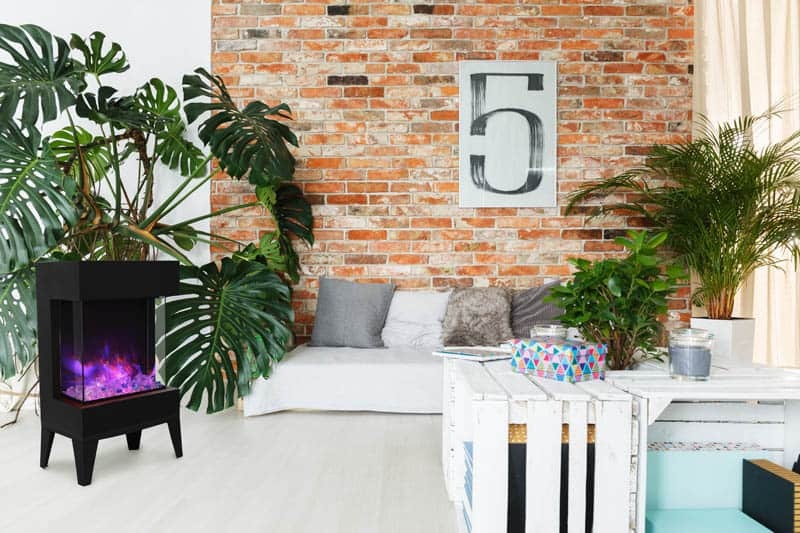 Their stove design is more of a freestanding fireplace. Sierra Flame FS-26-922 Freestanding Electric Fireplace. Amantii is best known for their contemporary electric fireplaces. 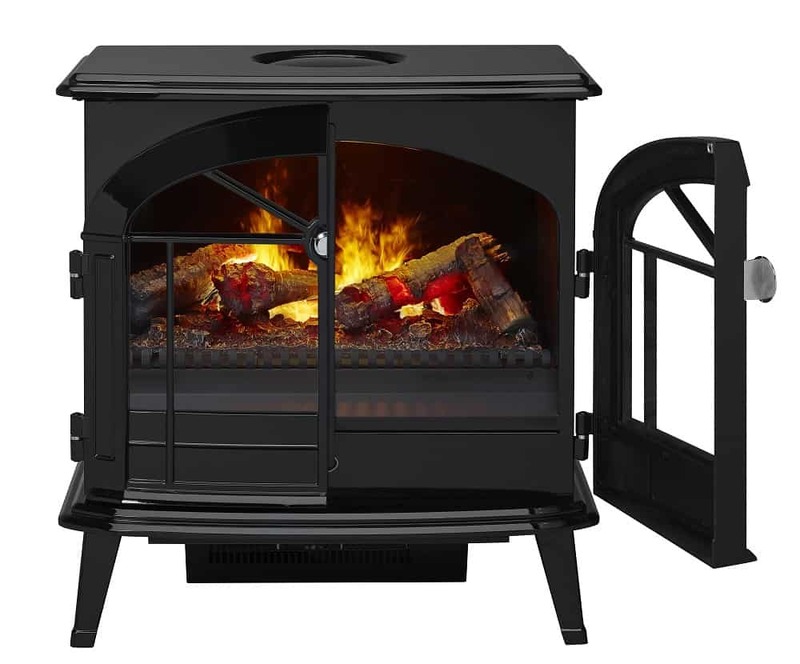 They have one of the newest of the electric fireplaces that look like woodstoves, with their Cube. The Cube takes advantage of Amantii’s Tru-View 3-sided glass design, in a small stove footprint. They also offer several options for mounting: wall-hung, mounted on four legs, or sitting on a speaker base. 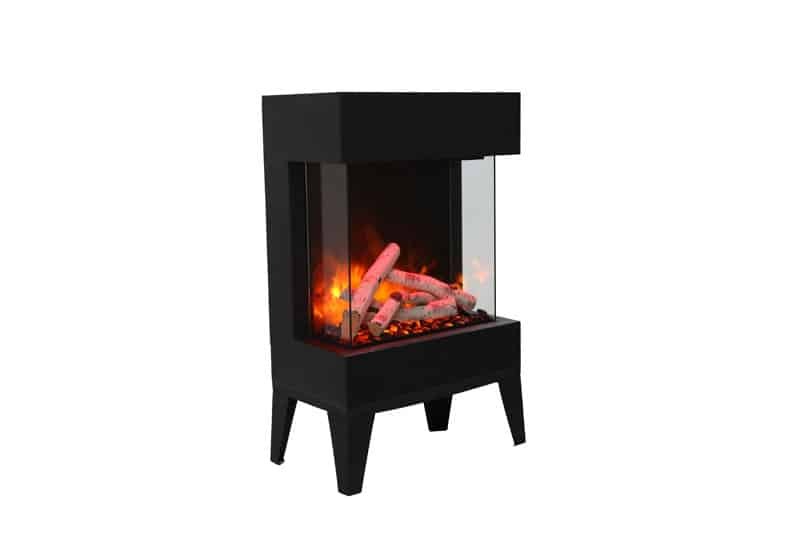 Amantii Cube-2025WM electric fireplace on leg base. Also available for wall-mounting. 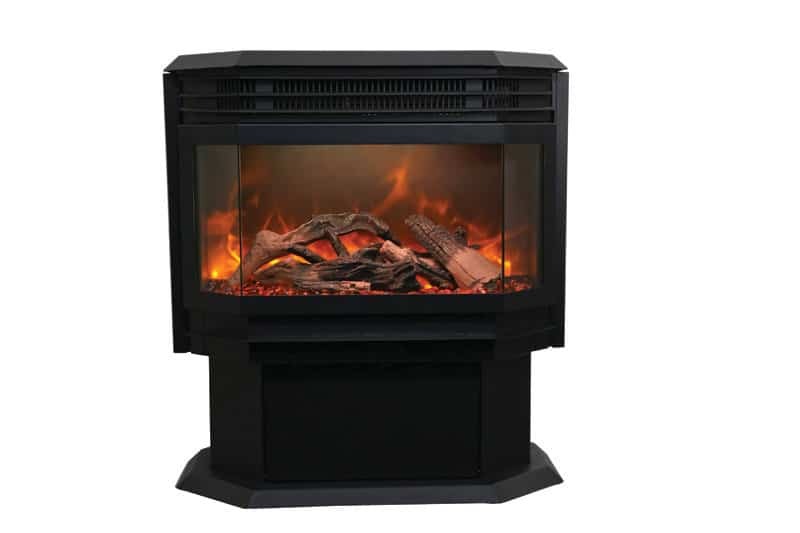 For ease of set-up and installation, you can’t beat electric fireplaces that look like woodstoves! 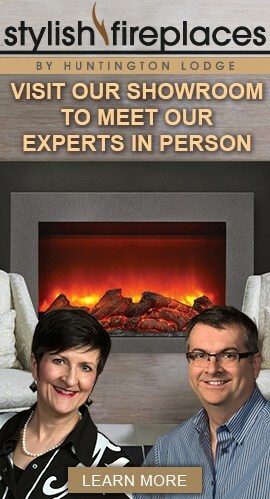 Stylish Fireplaces & Interiors specializes in electric fireplaces. Their Toronto-area showroom displays over 50 electric fireplaces in complete walls, with all of the materials you need to complete the project. Their expert staff can advise on design and installation, as well. This entry was posted in Electric Fireplaces, Fireplace Design and tagged electric fireplaces, electric fireplaces that look like woodstoves, electric stoves, small fireplaces.